Does your students age really matter? What is the difference between an evaluation and a critique and which is more effective? What should we look for when flying with rusty pilots? What does it take to teach great landings? What are some of the finer points of chair flying and why should we encourage our students to practice as often as possible? What are defense mechanisms and what do we do once we recognize a defense mechanism in one of our students? The FAA is using a lot of scenario based testing. How can we help our students in a scenario based way? Is giving a flight review a one size fits all? What are some of the common pitfalls of pilots looking to stay current? If you’re working on your CFI, you’ll have to do them. If you’re already a CFI, you may have to teach them. How can we help students better understand complex subjects like textual and physical weather? How can you teach someone better decision making skills? With the FAA’s implementation of the ACS, how can we as CFI’s teach it? Why Hasn’t This Student Soloed? We’ve all dealt with that difficult to solo student. But, is that a reflection of their CFI? Staying Proficient as a CFI. Even CFI’s can become rusty pilots. As a CFI, its hard to give a student constructive criticism sometimes. How do we work with someone who has anxiety towards stalling? Spins are required to become a CFI, but when is the last time you or your CFI even did a spin? In this episode of the Certificated Flight Instructor Podcast, Jason talks a little bit about Aviation Etiquette for you as a CFI and for your students. It can be an awkward situation to have to let a student go. Jason shares with you 3 types of personalities he watches for that almost always have to be fired as a student. In this episode, Jason shares with you things he does for his students and things he makes each and every student do. In this podcast Jason shares his story about the best CFI he ever had and what were some of the things she did to make his flight training the best. In this episode Jason shares with you a few tips that you won’t learn from your FOI (Fundamentals of Instruction) written test. In this weeks episode of the CFI Podcast Jason reveals to you some of his secrets and tips for creating great CFI lesson plans. 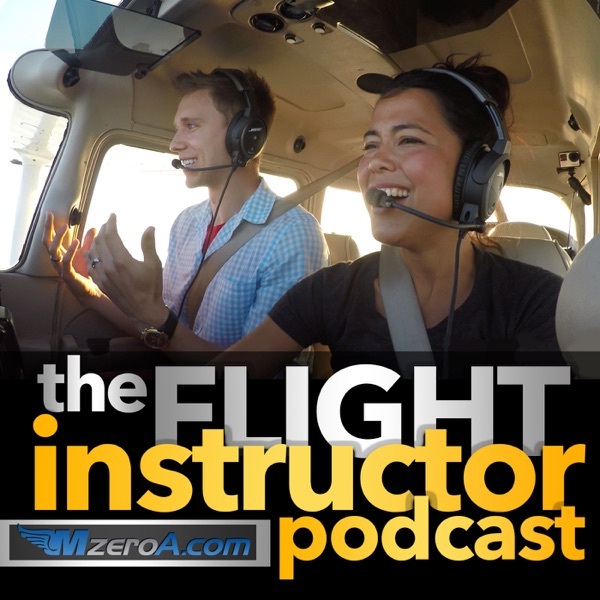 In this episode listen to Jason as he explains what makes a great flight instructor.